New Liturgical Movement: Merry Christmas! 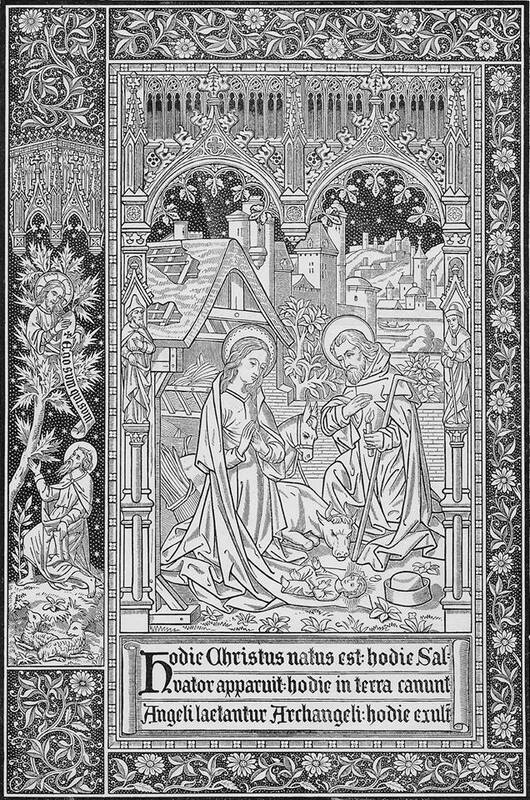 Illustration for Christmas Day from a Missal printed by the Desclée publishing house, late 19th century. On behalf of the publisher and writers of New Liturgical Movement, I wish all of our readers a Merry Christmas, and every blessing from the Child that is born unto us! By the prayers of the Holy Mother of God and all the Saints, may God grant the world peace in the coming year.